According to Hotel Leela Venture, the transaction includes assignment of all hotel management contracts currently in operation as well as all under-development. Shares of Hotel Leela Venture hit the 5 per cent upper circuit in late morning deals on Tuesday. Shares of Hotel Leela Venture hit the 5 per cent upper circuit in late morning deals on Tuesday after its board approved the sale of four hotels, including one in the national capital, and a property to Canadian investment fund Brookfield Asset Management for Rs 3,950 crore. 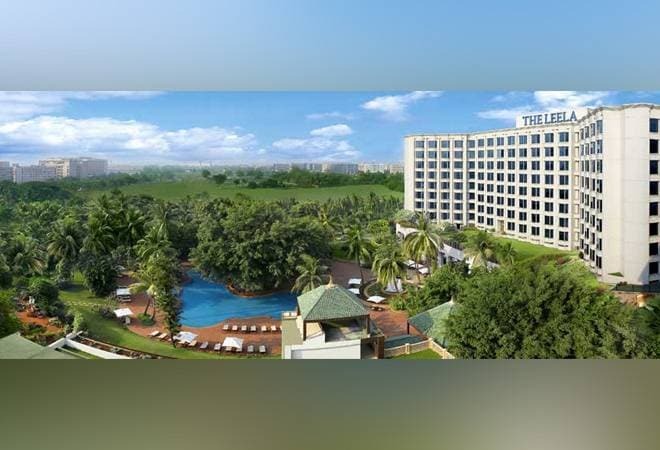 "The company has entered into a binding agreement with a Brookfield Asset Management-sponsored private real estate fund to sell, by way of slump sale, four owned Leela hotels located at Bangalore, Chennai, Delhi and Udaipur and the property that it owns in Agra," Hotel Leela Venture said in a filing to Bombay Stock Exchange. The shares of Hotel Leela Venture opened at Rs 11.63 and have touched a high of Rs 11.63 on BSE. On Monday, it ended at Rs 11.08 per scrip, up 1.09 per cent. According to data available with exchange, a combined 1,96,330 shares have changed hands on the counter on the NSE and BSE so far. In a similar fashion, stock of the company locked at Rs 11.55, up 5 per cent, on the National Stock Exchange after opening at Rs 11.55 against previous close of Rs 11. The transaction includes assignment of all hotel management contracts currently in operation as well as all under-development, along with the employees of the hotels. "The total transaction value is Rs 3,950 crore plus the applicable transaction costs," it said in the filing. The company further said that post-sale, it will continue to operate the hotel in Mumbai and own certain land in Hyderabad apart from the joint development project of residential apartments with Prestige Developers in Bangalore. Brookfield will have a right of first refusal over the company's hotel in Mumbai, as a part of the transaction, the filing said.